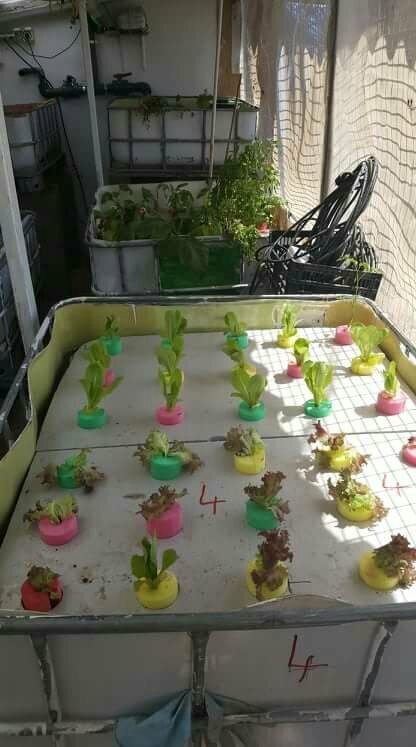 Backyard Aquaponics • View topic - slo. i am trying to understand how slo,s work. I have watched rob bob,s video, watched nathan,s video(which is a different model of slo),read what i can find on this site and elsewhere. <what i don't understand is, how does the water flow up, lifting the fish poo with it? some bloggers use airpumps in the slo tube to get the water moving. What are the dimensions(pipe width, ft depth, pump pwer you would need to take into account of for the slo to work? You wait till you try and wrap your head around siphons. SLO is easy.. there's a hole in the side of your tank, as the water level rises, water flows out of the hole, gravity and air pressure I guess is causing that to happen, or is it just gravity, water always wants to flow to the lowest point. Now imagine putting a small section of pipe into the the hole, perhaps just a fitting, water will still flow out the hole/pipe as you try to put more water into the tank.. Now you could add more pipe to the hole, extending the pipe all the way down near the bottom of the tank, as you add more water to the tank, water will always try to flow to the lowest point, through the pipe and out the hole. The pressure of gravity pushing down on the water in the tank forces water out the hole. Pipe sizes, well that depends on how much water is flowing into the tank, you want the water flowing out to be equal to the water flowing in, if the pipe out/SLO is too small it wont keep up and the tank will fill and over flow. 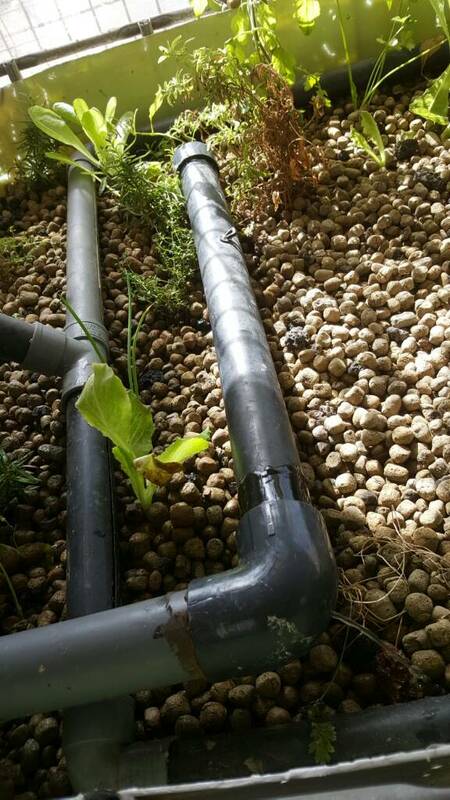 So the outlet pipe needs to be big enough to let the water flow out at the same rate as it's flowing in.. You could make it huge and it will always flow out slowly as the water level tries to rise, but if you make the pipe a bit smaller the speed of the water in the pipe gets faster. Fast flowing water can move solids in suspension where as slow flowing water causes solids to drop out of the water flow. So you want the size of the pipe to be just large enough to keep up with the flow coming into the tank yet small enough to keep the velocity of the water at a decent rate to move the solids.. I'm not sure if I'm making this sound even more complicated.. lol It just works, and generally if you post details about your system and pump capacity, someone will be able to give you an idea of the size SLO piping you need. A SLO is just an overflow, instead of your fish tank overflowing from the top of the tank it overflows from the bottom of the tank. 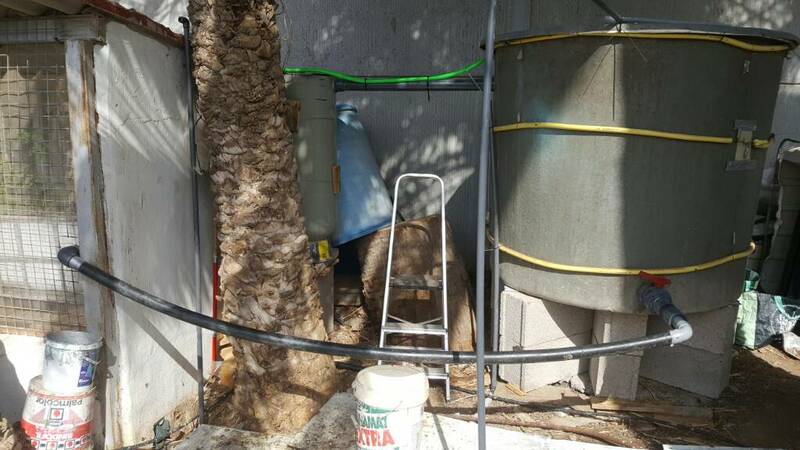 If you had no outlet or overflow at all on your tank and you pumped in water at 1,000 litres an hour, your tank would overflow that 1,000 litres of water every hour over the top of the edge of the tank. With a SLO the outlet is sitting on the bottom of your tank and the water enters the SLO at the very bottom of your tank and travels up the pipe and then leaves through the side of the tank near the top. It's actually overflowing from the very bottom of the tank and not the top, and it's still the same, if 1,000 litres of water is pumped in, a 1,000 litres will leave the tank through the SLO, depending on filtration and pipe sizes etc, the pump needs to be controlled so that the same volume of water being pumped in is the same as what leaves the tank, any more and your tank will overflow. 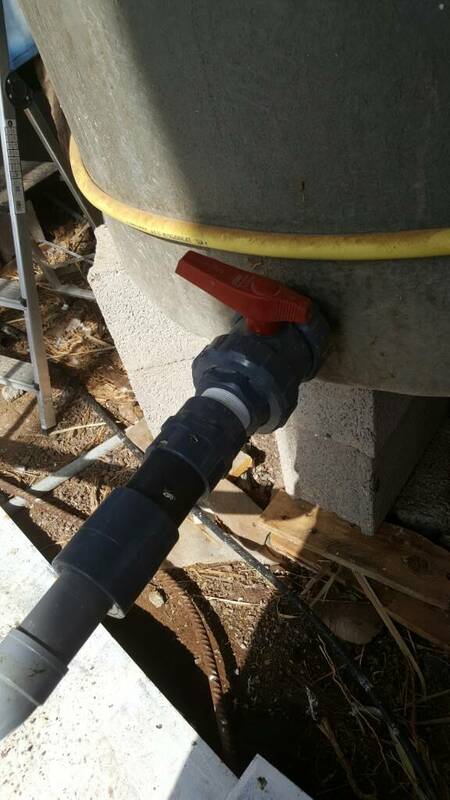 Controling the pump is done with a tee piece and ball vavle between the pump and the hose outlet that pumps the excess water into your fish tank or sump and keeps the volume of water flowing into the grow bed/s so that the SLO doesn't overflow. The SLO also needs a tee piece at the top to stop it from siphoning all the water from your tank. The fish solids close to the bottom of the SLO are caught in the current of water leaving through the bottom of the SLO and are drawn up the pipe and out of the tank. Any fish solids further away are sweeped closer to the SLO by the fish moving around the tank. You can use air to help lift the Fish solids but it not to get the water moving, the pump does that, air is not necessary but it does help. 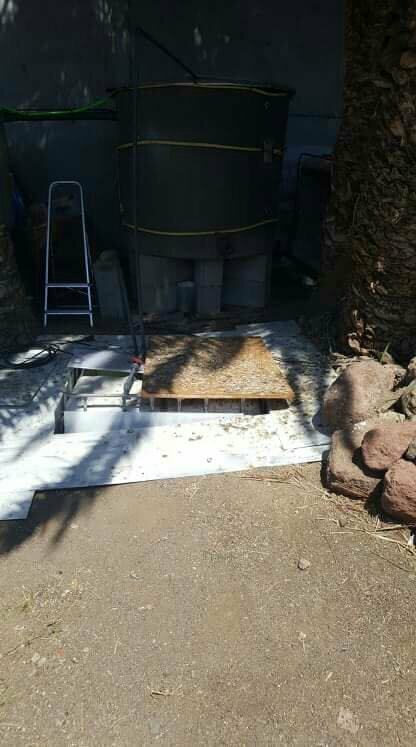 The size of your pump needs to be able to pump the volume of your fish tank every hour, you can always go slightly larger in pump size to cover any future expansion of your system, the excess water is then controlled by your tee. The dimensions of your SLO piping should be as large as possible, if it's too small it restricts the volume you can pump. 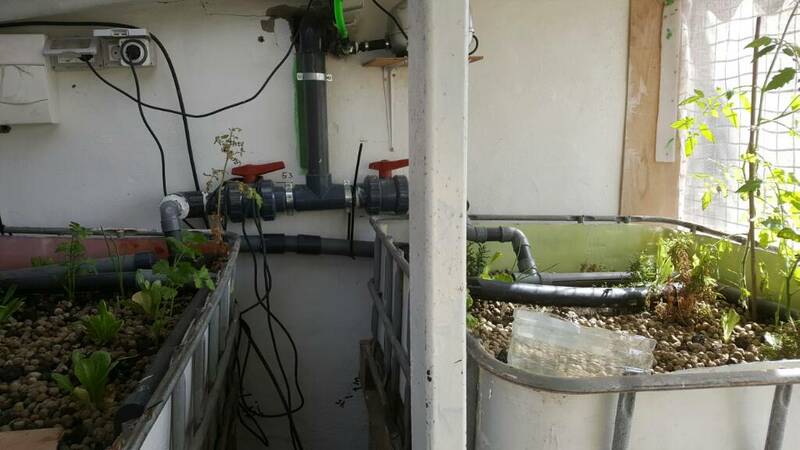 If you are using an IBC Tote as a fish tank the ideal size for the SLO would be 90mm pipe, in can be reduce to 50mm as it leaves the fish tank, or after if it suits. If your system is large use 90mm all the way. Keep the slots in the bottom of your SLO small enough that any small fish can be drawn up into the pipe, about 6mm - 8mm would be enough. Shaunohara I hope that helps, if you need any more info just PM me. thankyou for your replies and explanations. as i understand it, water flows in and out if there is a hole, even if it has to go up to get to the hole. the slo designs i have seen feature a rff and the slo pipe is inverted u shaped ? the outlet underwater. so? is there a syphon effect ig the mputh of the slo and the outlet are at the dame height? Here a siphon isn't created because the top of the up-flow tube is open to the air. this is how i adapted anslo into my system;the red outlet valvle at the bottom is connected to a 1m 60mm diameter tube inside the tank. The tube has slits. I connected it up to the grow beds. it isnt perfect but its what i came up with. my system is new. the nh3 was a bit elevated. running it through the grow beds has made a difference. Is this your fish tank? If so the significant difference is with the pipe coming out the bottom instead of just below the surface of the water you risk emptying the fish tank if there is a leak. With the bulkhead near the top and an anti-siphon drain the water won't ever go below the higher placement bulkhead. point taken, Brian.I included the valve in the event that i had to/wanted to empty the tank.. Didn't think about leakages. My name is Trond Egil Thorrud. I am from Norway and I just moved to Playa Blanca, Lanzarote. I am planning to set up an IBC system in my backyard as a pilot to a project which my NGO is planning to do in India. My NGO will give IBC systems to poor people there.